As Wuthering Heights hits TV screens this August Bank Holiday, viewers can see the costumes from the production on display at the Brontë Parsonage Museum. Plus details of upcoming events with Bonnie Greer and Barbara Taylor Bradford. Viewers who will enjoy ITV’s new adaptation of Wuthering Heights, to be broadcast over the coming bank holiday weekend, should make a visit to the Brontë Parsonage Museum in Haworth where they can see the original costumes from the production on display. Outfits worn by the cast in the two-part drama, including dresses worn by Charlotte Riley as Cathy and Heathcliff’s (played by Tom Hardy) dramatic long black coat, are displayed within the period rooms of the museum. The new drama, which hits screens on Sunday August 30 & Monday 31 at 9pm, was filmed at various locations in Yorkshireand was adapted for television by BAFTA-winning screenwriter Peter Bowker. Peter Bowker will be visiting Haworth, along with members of the production team, in October to speak about the process of adapting such a classic novel for television, as part of the museum’s contemporary arts programme of talks and events. The museum will also be hosting two events with high-profile authors in September, again as part of the contemporary arts programme of events. On Wednesday 9 September, at 2pm, playwright, critic and broadcaster Bonnie Greer will be speaking about her latest nove lEntropy at the Old Schoolroom, Church St, Haworth and tickets (priced £3) will be available on the door. On Saturday 19 September, international bestselling novelist Barbara Taylor Bradford will be visiting Haworth as part of a special tour celebrating 30 years since the publication of her landmark novel A Woman of Substance. The event will take place at the Old Schoolroom, Haworth at 7.30pm. Barbara Taylor Bradford will also be speaking about and signing copies of her new novel Breaking the Rules and will be talking about her love of the Brontës with arts critic and journalist Danuta Kean. Tickets will cost £5 and should be booked in advance. Barbara Taylor Bradford was born in Leeds, Yorkshire, and was a reporter for the Yorkshire Evening Post at sixteen. By the age of twenty she had graduated to London's Fleet Street as both an editor and columnist. In 1979, she wrote her first novel, A Woman of Substance, and that enduring bestseller has been followed by 24 others. Her novels have sold more than 81 million copies worldwide in more than 90 countries and 40 languages. Barbara Taylor Bradford lives in New York City. For tickets and further information on any of these events, contact the Brontë Parsonage Museum on 01535 640188 /jenna.holmes@bronte.org.uk. I had the honour and pleasure to be present this year at a Brontë Society Conference, a major event I had looked forward to for years. Held at the University Campus of York, the Literary Meeting lasted three days, revealing itself to be a real success and a glorious moment to remember in the life of any Brontë fan who was there. Thanks to the perfect organization of Coreen Turner who arranged full and excellent accommodation for all 130 delegates at Vanbrugh College, the most important Brontë scholars from all over the world were gathered in the same place, surprisingly for the first time, to talk Brontë, propose their views and exchange opinions with members, fellow-scholars and student enthusiasts. What a miracle! The considerable number of interesting lectures ranged from the biographical aspects to the most technical ones related to the Brontë novels. Every lecturer (Christine Alexander, Paul Edmondson, Michael 0’Neill, Sue Lonoff, Margaret Smith, to name only a few) was at his/her best to guarantee complete immersion in all matters Brontë, and the peak moment was reached during the Saturday evening dinner when the BS President Gyles Brandreth held his so waited for speech and gave a short and delightful performance for all of us. 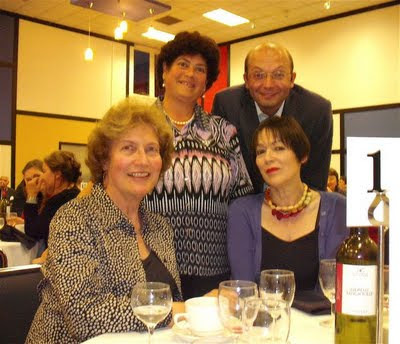 I was the only representative from Italy and soon felt at home meeting old and new friends who called me simply by name. In fact most of us actually knew the others for their articles and writings if not by person so that coffee breaks and leisure time at the bookshop became precious to feel the friendly Brontë atmosphere pervading the place. I had the infinite pleasure to meet for the first time after twenty-nine years Mrs. Sally Stonehouse, the former librarian at the Bronte Parsonage, who long ago had helped me from there in my Brontë-Shakespearean research while at Naples University. I also enjoyed friendly talks with Lucasta Miller, Patsy Stoneman, Dudley Green and Akiko Higuchi whose works I have long appreciated. 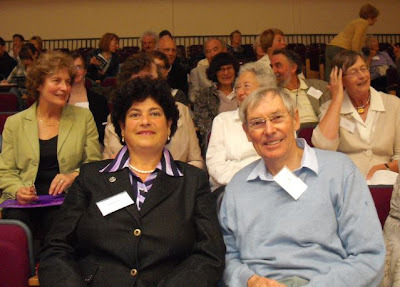 A word in particular I have to reserve for my dear friends Christine Alexander and Paul Edmondson who really were the soul of this conference and spent all their energies to assure its absolute success. One thing for sure: we all delegates won’t easily forget those three Brontë days in Summer 2009. The combination of the theme of this year's conference, Men in the Brontës' Lives, encompassing so many fascinating figures, with the setting of York made it an irresistible event. We heard ten talks in two days by some of the people best qualified to tell us about the men in question. Thus we heard about Patrick Brontë from his most recent biographer, and about Arthur Nicholls from the husband and wife team who have dedicated their retirement to researching this sometimes maligned and sidelined figure. And who better to tell us about M. Heger, Charlotte's inspirational Belgian teacher, than the translator and editor of Charlotte and Emily's "Belgian Essays"? 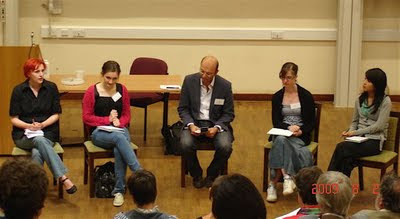 Like all Brontë Society events, this one was attended by a mixture of academics and the non-academic members who are in a majority and are as interested in the Brontës' lives as in their works - this fascination with their lives is surely what gives the Brontës their unique appeal for such a wide variety of people. In this conference with its emphasis on biography the Society succeeded, as it generally does, in pitching its appeal to both groups. 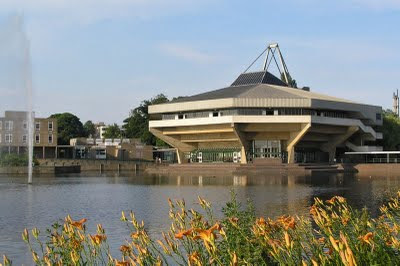 We were housed on the campus of York University, made attractive by its lovely lake. 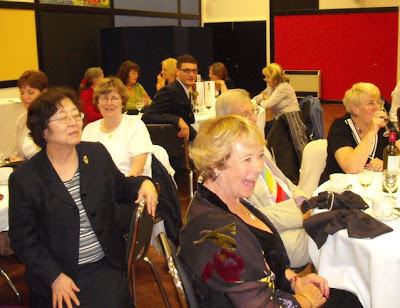 Between talks we enjoyed stimulating conversations with other members and made new friends. 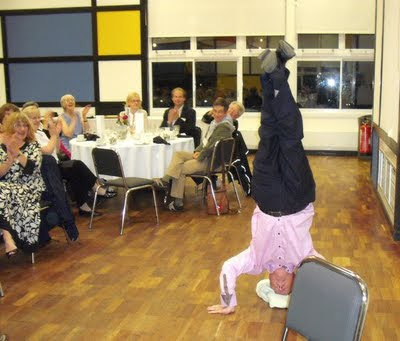 We were entertained as well as instructed, particularly by an amazing after-dinner speech by the Society's new president Gyles Brandreth, writer, broadcaster, TV personality and, above all, entertainer. His anecdotes were hilarious but his underlying message was one he feels passionately about. He spoke about how the Brontës' works (which he discovered through his three elder sisters) introduced him to the world of literature, and about the importance of literature in general and the fascination of 19th century literature in particular. At the end of the conference, some of the youngest attendees – students at school or university – were invited to give their impressions on what we had heard. Charlotte Jonné, a student at Brussels University who has written a dissertation on Charlotte Brontë's The Professor, has written the report below on the talks. As I am writing this, I am sitting on my bed in the lovely York Youth Hostel pondering events past, and basically not wanting to go back home. Home, which is – granted – a few degrees warmer, but not as appealing as a conference room filled with Brontë enthusiasts. A lot has happened over the past weekend. I have listened to eminent scholars making their points (accompanied by the occasional plugging of a book), I have got to know very nice people from all over the world (including fellow country…women I should say), and I have had heated discussions about the actor to play Heathcliff / Mr. Rochester in the perfect screen adaptation. The perfect screen adaptation which of course only exists in our mind’s eye (which is, I believe a submerged reference to Shakespeare’s Hamlet – an inside joke never hurts, but I’ll stop now, I promise). What I am trying to say, in this rather roundabout way, is that there was something for everyone at last weekend’s Brontë Conference at the University of York, the topic being Men in The Brontës' Lives - Influences, Publishers, Critics and Characters. The very first lecture was by Christine Alexander, who talked about hero-worship and Charlotte Brontë. She agreed that there is a lot of hero worship in Brontë's work, because it was fashionable at the time, and because children model their behaviour on people they admire. The Brontë circle being as closed as it was, Charlotte had to look elsewhere, and found the Duke of Wellington among her father’s heroes. However, Alexander argues, Brontë always found a way of putting her admiration into perspective. Alexander then showed how this was done in throughout Brontë’s juvenilia and in Shirley. 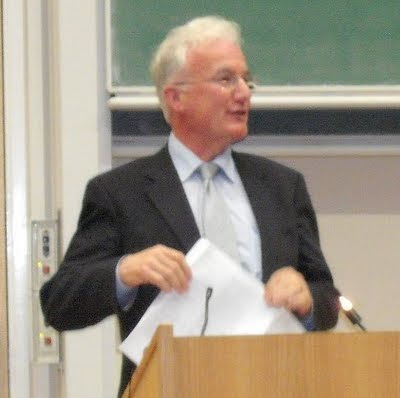 The second lecture was given by Dudley Green, an expert on Patrick Brontë. He shed some light on the characteristics the Brontë children inherited from their father. Reverend Brontë made sure they had proper schooling and encouraged them to read, write, paint and play music. His religious influence can also be seen in the many biblical references in his children’s works. A special place in his heart was reserved for Emily, with whom he went shooting. He imprinted on Charlotte his sense of determination to succeed, which she would need when going to Belgium and when looking for a publisher. Patrick was paid a beautiful compliment on his parenting skills by M. Heger, who was impressed by the remarkable character of Charlotte and Emily. The third lecture on Friday did not have a literary basis. Jane Sellars, an art historian, told us about the Brontë family portraits, of which there are two: Branwell's Pillar Portrait and Gun Group, which has been severely damaged. Sellars reviewed Branwell’s artistic influences and presumed intentions in painting his sisters, but also tried to look at the paintings afresh. She pointed out that the Pillar Portrait was painted when none of the sisters were famous, before the family tragedies. And yet, she argues, our modern-day perception of the portrait is distorted, because in our eyes, it has absorbed all the biographical information we now have about the Brontës. On Saturday, Miriam Bailin gave us her views on the relationship between Charlotte Brontë and the critic George Henry Lewes. Lewes was the first person to characterise fictional realism, and that is what he wanted out of Charlotte Brontë: realism. He warned her about melodrama and was of the opinion that she should stick to her own experience. Charlotte recognised Lewes’s wisdom but did not accept it, since that was exactly what she had done in writing The Professor, a novel everyone was reluctant to publish. Brontë and Lewes had a lively correspondence, until he judged Shirley harshly, and revealed that the author was a woman. Charlotte felt wronged, since he had judged her as a woman and not as an author. Their frank interchange came to an end. Michael O’Neill subsequently gave us a talk on Emily Brontë’s poetry and Romanticism, firmly establishing the ties between the Romantics (especially Shelley) and Emily’s poetry. He showed how Brontë reworked Romanticism, and how she responds to her predecessors. Lucasta Miller, author of The Brontë Myth, gave us an introduction to Letitia Elizabeth Landon, an English poet and novelist, whose celebrity turned into notoriety after a series of scandals. 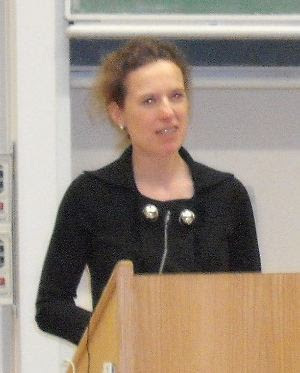 Miller connects L.E.L.’s world with that of Charlotte Brontë. One similarity is the gossip: Charlotte Brontë was the alleged mistress of Thackeray. Unlike Landon, Brontë refused the part of the scandalous woman, and allowed no flirtation with anyone whatsoever. It is, however, interesting to ask the question: if Charlotte Brontë had lived in London, would she have been tempted? Then Patsy Stoneman took the stage with her lecture on Rochester and Heathcliff as romantic heroes. As in earlier romantic stories, e.g. Jane Austen's, the relationship of Jane Eyre and Rochester is very Oedipal, Stoneman argues. He is an older man. He is also dark, moody, powerful, with hidden sorrows, not unlike Zamorna, Brontë’s Romantic hero. Whereas in the earlier stories it is often the heroine who changes, Jane Eyre revolves around the reformation of the hero. This has become a defining feature of modern romance writings. Rochester is gentler than many Byronic heroes and is prepared to share his life with his wife. Heathcliff, however, is different from the traditional hero of romance and the relationship between Cathy and Heathcliff is far from Oedipal, Stoneman claims. It stems from an earlier psychological phase, the mirror phase, where the child needs another person as a mirror to reflect it back to itself. This love, comparable to love between siblings, is a heritage from the Romantics, and explains the doubt as to whether there is adult sexual attraction between Heathcliff and Cathy. Heathcliff is a Romantic hero with a capital ‘R’, his story being sad and epic, while Rochester has more of the traditional romantic hero with a small ‘r’; his is a more appealing storyline. Next, Paul Edmondson established the tie between Shakespeare and Anne Brontë’s novels. He showed that Anne has digested and reworked Shakespeare’s work. She had a copy of his work and the creases in its pages indicate what she read, where she paused, etc. The plays she alludes to most are Hamlet and Othello. 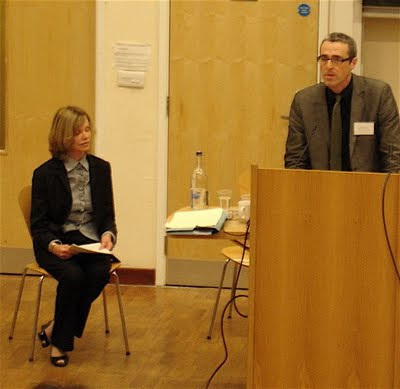 Richard Mullen subsequently analysed the relationship between William Makepeace Thackeray and Charlotte Brontë. The two of them had several meetings and an animated correspondence. Theirs was a very ambivalent relationship; Charlotte was at the same time very pleased and displeased with him. Even after Thackeray had revealed her identity in public, she continued to go to his lectures, but five years after that, she was tired of him, and he of her, and their correspondence ended. Charlotte had got too close to her idol. 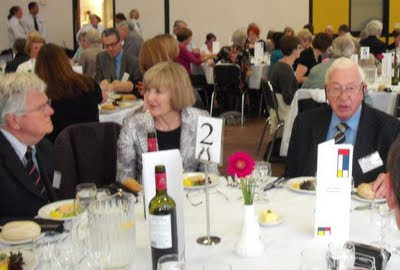 On Sunday, Mr and Mrs Cochrane, two local historians, lectured on Arthur Bell Nicholls, Charlotte Brontë’s husband. Nicholls has been neglected in Brontë studies, has always stayed on the periphery, because Brontë admirers in general have had a strong antipathy towards him. The Cochranes emphasised that this does not do him justice, and that we should be grateful to him, since he gave Charlotte one of the happiest years of her life. After which Sue Lonoff brought up M. Heger. She split her subject up into four parts. Firstly, Constantin Heger, the busy, Catholic man who lost his first wife and child. Secondly, Charlotte and Emily’s professor, an inspiring man with remarkable teaching methods. Thirdly, Heger is transformed into M. Paul Emanuel in Villette. This is a radical revision of reality: in Villette, Emanuel is a bachelor, whereas M. Heger was very much a family man. Fourthly, Heger was very responsive to Brontë fans, answering questions and giving them Charlotte’s essays as souvenirs. 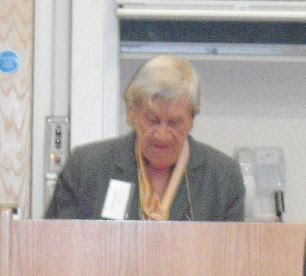 The last lecture was one from Margaret Smith, who talked about George Smith and William Smith Williams and their connection with Charlotte Brontë. Smith was a very good friend, gave her advice on financial matters and was even an alleged love interest, although he wasn’t in the least attracted to Charlotte. William Smith Williams sent her books and advised her to write a three-part work (Jane Eyre) rather than another two-part work like The Professor. Charlotte dissolved their correspondence with a rather cold letter. To conclude the conference we were asked our opinion, and our suggestions for future Brontë Conference topics. Suggestions were: “Branwell”, “The influence of the Brontës on their contemporaries”, “Brontë and Shakespeare”, “Brontë influences”. In sum, there is enough material to keep on talking for many, many years to come! Bring your own picnic to enjoy on the Parsonage lawn on one of our creative poetry days. Yorkshire Dales Ice-Cream will be on site for the three days, selling ice cream fresh from their local dairy. On Tuesday 11 August, poets Sarah Hymas and Sue Wood will be working at the museum for the day, engaging with visitors and creating fun poetry-based activities for visitors and families. Have a go at creating your own poem, or simply enjoy the poetry readings in the garden at various times throughout the day. On Saturday 15 August, poet Mark Ward will be reading from his latest collection Thunder Alley in the grounds of the museum, while local storyteller Peter Findlay will be entertaining children and families with his very silly songs at various times throughout the day. Another creative poetry day on Friday 21 August will see poets Jane Commane and Char March offering activities for families and visitors to enhance their visit to the museum. Come and explore the museum in extreme close-up using a magnifying glass, or create your own Brontë-style story in less than 50 words!